(Nanowerk Spotlight) Colloidal silver is not a health elixir and should not be taken orally. Still, dubious online resources that sell silver dispersions or explain how to synthesize colloidal silver for nutritional purposes keep propagating mystic health effects of nano-silver. The phrase "colloidal silver" simply means a stable liquid dispersion of silver nanoparticles. It does not imply specific particle sizes, dispersion media, or silver concentrations - and is not restricted to specific fields of application. 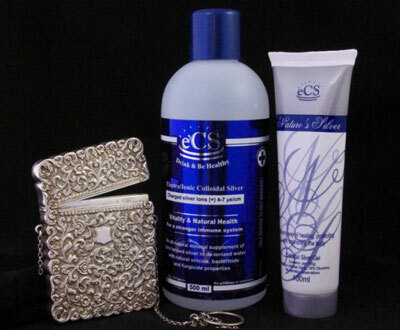 Products containing colloidal silver usually make use of its antibacterial effect (e.g. medical products that act locally) or of the electrical or thermal conductivity of silver particles (electronic applications). However, there is a different perception of "colloidal silver" that seems widespread, given the number of websites that deal with it: several sources solely refer to "colloidal silver" as a health elixir for oral taking. Just one example of an ad for a "Colloidal Silver Super Health Tonic". This is also what the numerous online stores are offering when they promote "colloidal silver": dietary supplements, nasal sprays, throat sprays. But what do these people refer to when they propagate colloidal silver? The booklet "Silver colloids - do they work?" (pdf) by Ronald J. Gibbs was written in 1999 and is still promoted on "silver-colloids.com". It wants to "shed light on how to select a good quality colloidal silver product for nutritional and health purposes". Tellingly, it starts with a warning that the book's contents are only "for informational and educational purposes" and that the author does not "assume responsibilities for those who choose to treat themselves". The basic explanations on nanoparticle properties in this book contain severe mistakes. For example, a paragraph about the yellow color of silver colloids cites a publication from 1959 (!) and concludes that yellow dispersions must either contain impurities or particles in the size range of visible wavelengths. Today we know that the surface of pure silver nanoparticles absorbs visible light around 420 nm, which leads to a yellow color for 10 nm particles as well as for 100 nm particles. The website "Colloidal Silver Facts and Information", which does not provide legal details on its operator, carefully explains that "users are able to ingest the liquid which is considered to help fortify the immune system to fight infection". The page even offers taking directions and a separate page about the right dosage. So far, this new web page from 2011 has not yet revealed which kind of colloidal silver product it intends to merchandise. Some good background information on the true effects of colloidal silver consumption is available in the article "Colloidal Silver: Risk Without Benefit" from 2005 on quackwatch.com. It shows dubious ads, explains former regulatory measures and lists further references. Whoever considers to "treat" themselves by taking colloidal silver certainly don't know what they want to treat themselves for. They should be aware that drinking an antimicrobial agent at any effectual dosage must inevitably cause harm to innumerable bacteria that are vital to our organism – especially in the alimentary canal. Drinking colloidal silver will either be noneffective or harmful. It is not medicine. By Dr.-Ing. Niko B?rsch, Particular GmbH. On his Nanoparticle blog by Particular, he writes about nanotechnology – and applications of nanoparticles, in particular.